Our 100% cotton shower caps with a generous elasticated band are not only designed to fit every bathing beauty, but to ensure your luscious locks are protected from every downpour! Pretty in our 'Pink Bell' design it is the perfect pamper or travel gift for you or a friend. 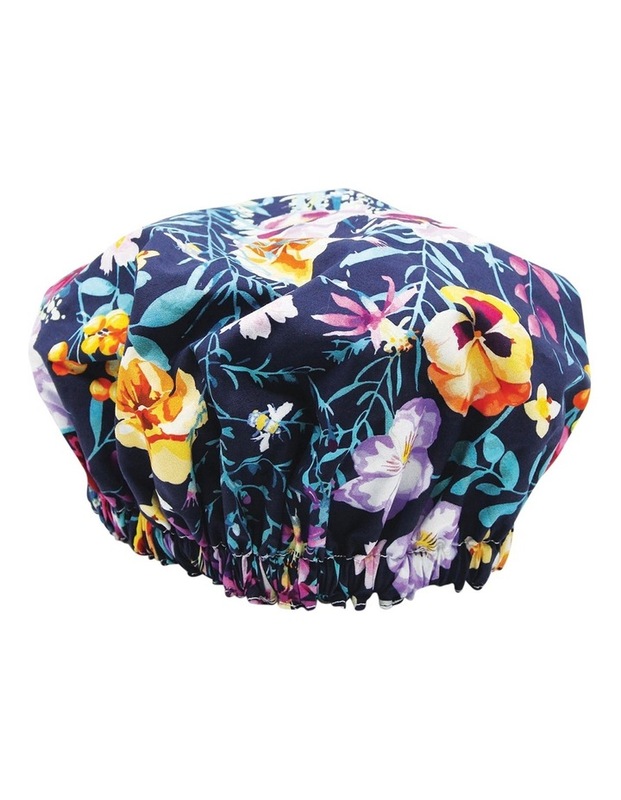 Dimensions: 7 x 7 x 15 cm Weight: 60g 100% Cotton Covered Shower Cap Showering has never been so glamorous! 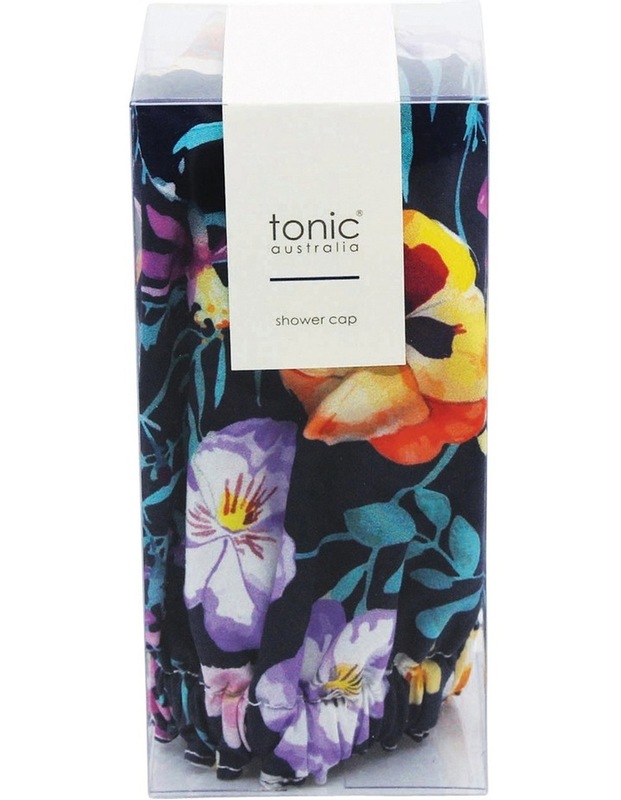 Our tonic australia 100% cotton, colour fast shower cap with a lightweight waterproof lining will definitely put some fun back in the bathroom. Designed with a generous elasticated band to fit snuggly around your head and locks. This cap will fit any bathing beauty. Packaged in a clear acetate box to show off our designs, this makes the perfect pamper gift for a that friend who has everything or just spoil yourself. Our shower cap is perfect for travelling, pair it up with one of our gorgeous cosmetic bags to create the essential travel pack for work, rest or play. You will never want to use those cheap disposables in hotel rooms again! Care Instructions: Machine washable, although not necessary. Just rinse under the shower after use and hang to dry. Ensure your shower cap is left to dry completely before putting in an enclosed space to protect your lovely shower cap.